Combine ground beef, egg, salt. Mix well. Shape into 16 1-inch balls. Place in 9-inch glass dish; cover. Microwave on roast for 8 minutes; drain. 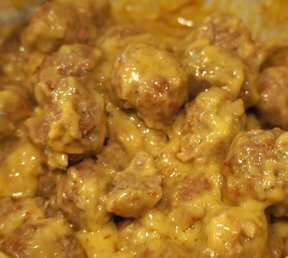 Combine remaining ingredients and pour over meatballs. Microwave on roast 5-6 minutes.